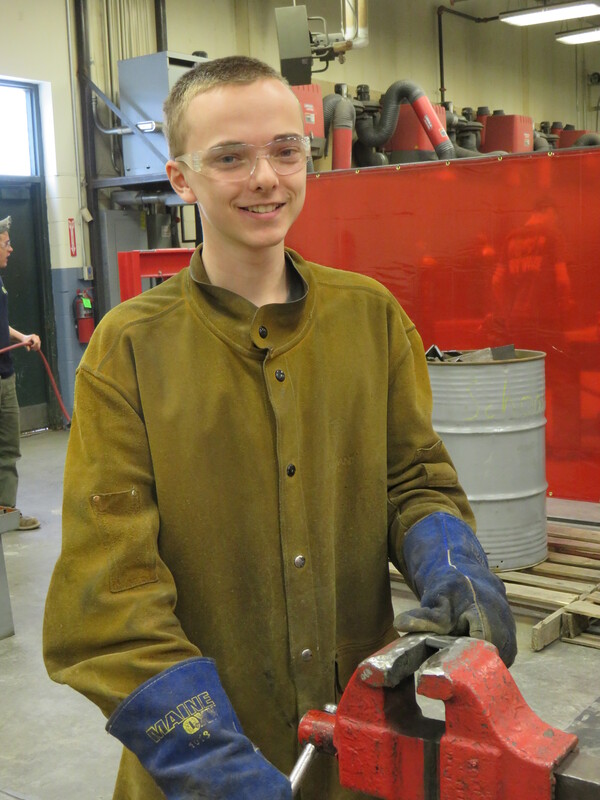 Kenneth LaBree from Gardiner Area High School is a senior enrolled in the Machine Tool Technology & Welding Fabrication program. He enjoys the hands-on aspect of the program and has liked being able to make choices in the program. His instructor, Mr. Darryl Nadeau states, “Kenneth is hard working, always willing to take feedback and improve his skills. He does a great job all around in class.” When he is not in school, Kenneth enjoys playing the guitar and ukulele, riding his skateboard and working at Shaw’s. 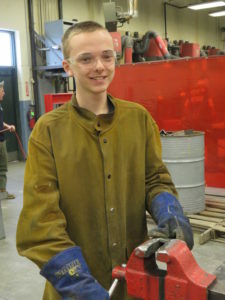 Upon graduation, Kenneth hopes to attend the New England School of Welding. 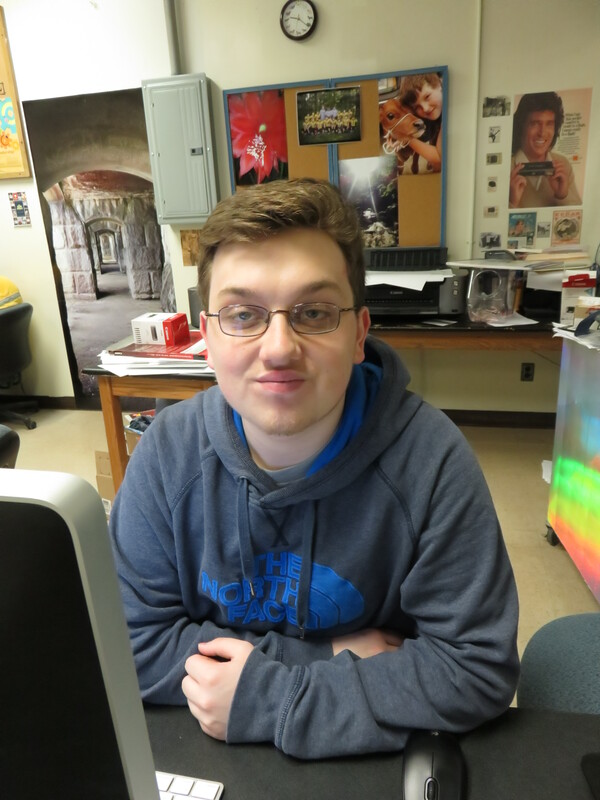 Brandon Morgan is a junior from Cony enrolled in the Graphic Design & Printing program. He has enjoyed learning the Photoshop program and feels his greatest accomplishment in class has been using that program to fix a photo that had been ripped. 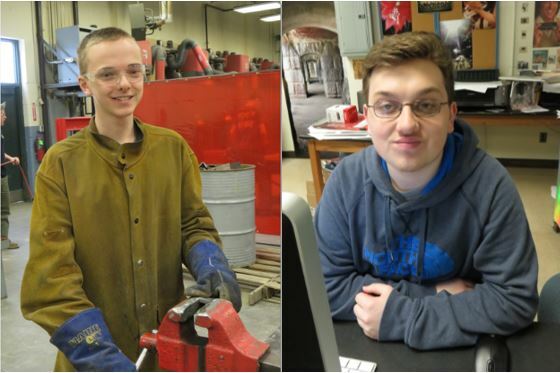 His instructor, Mrs. Jessica Douin states, “Brandon has put in extra time and effort into the program to better himself. He has showed enormous growth in his skills since first quarter.” Brandon plays on Cony’s lacrosse team and is looking forward to the upcoming season. Next year, Brandon plans to return to CATC.